In Chicago, we LOVE our whiskey, scotch, bourbon, and artisanal cocktails. We deal with crazy winters so we need to stay warm somehow. However, whenever you come to Chicago, there is one thing that either the bartender will give you or your friends "insist" you try. This glorious beverage is called, Malört. It is a right of passage to becoming a member of the city of broad shoulders. Similar to deep dish pizza, increasing your cholesterol, and making fun of midwest accents so much that you get one of your own and don&apos;t know it until you are near a black-out. Like Tequila in Arizona (until Patron changed the mindset), when you hear the words said, you cringe a little but know that afterwards, good times are ahead. 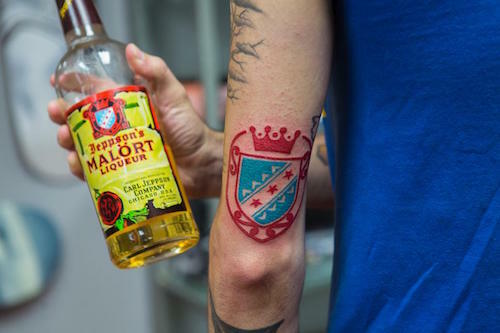 Malört is the Swedish word for wormwood (thanks, wiki), which is also the main ingredient in the liqueur and can help kill stomach worms and parasites. Lovely! 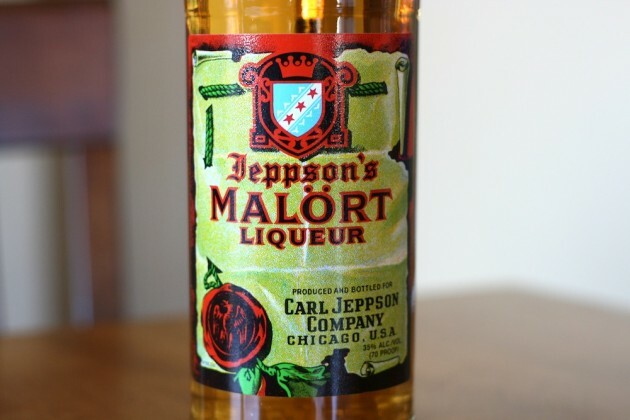 Started in 1912, Mr. Carl Jeppson started to sell his branded Malört around the city of Chicago. >Fun Fact: The Malört bottle&apos;s Chicago flag only has three stars as it predates the Century of Progress Exposition in 1933, which inspired the fourth star that now flies free. Since it is a Swedish recipe and uses the main ingredient for Swedish Schnapps, we are going to say it is schnapps and leave it there. Malört, tonight&apos;s the night you fight your dad. Peer pressure. Unless you have sworn off alcohol, you have to try it. Plus, your friends will continually ridicule you until you take one shot. Furthermore, 90% of its yearly consumption is from Chicago. You can add it to your crazy checklist of things you want to do before you die. >Fun Fact: Malört was actually one of the only liqueurs that Carl Jeppson could actually taste. Now everything makes sense. If I scared you from trying the beverage, grow up! It&apos;s the best thing to give to friends on when they&apos;re visiting Chicago. And if you are doing that without trying Malört, you are EVIL in so many ways. Malört, when you need to unfriend someone IN PERSON. Malört, what soap washes its mouth out with.